Red tide — a naturally occurring toxic algae bloom that can be harmful to people with respiratory problems— has spread throughout the Gulf of Mexico, drifting in the water since it began in October. Stretching about 150 miles, it's affecting communities from Naples in the south to Anna Maria Island in the north and appears to be moving northward. 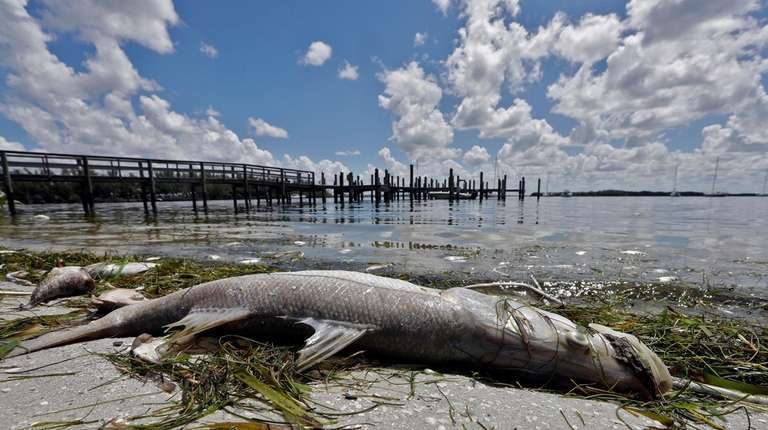 The algae turns the water toxic for marine life, and in recent weeks beachgoers have been horrified to find turtles, large fish like goliath grouper and even manatees wash up dead. In late July, a 26-foot-long whale shark washed ashore on Sanibel Island, which is known for its pristine beaches. 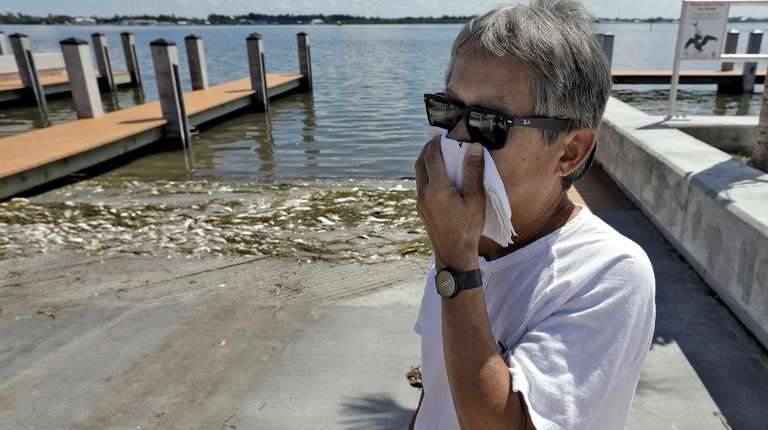 In places like Longboat Key, more than 5 tons of dead fish have been removed from beaches. This week, nine dead dolphins were found in Sarasota County, and marine biologists are investigating whether the deaths are related to red tide.